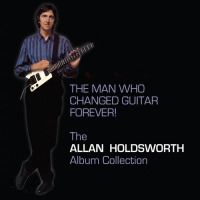 Allan Holdsworth is widely regarded by fans and contemporary musicians as one of the 20 th century's most prominent guitarists. 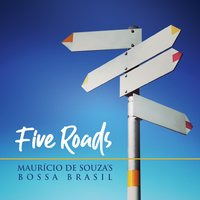 He is one of a handful of musicians who has consistently proven himself as an innovator in between and within the worlds of rock and jazz music. Many of music's best-known instrumental masters cite Holdsworth as that rare and shining voicea legendary player who continues to push the outer limits of instrumental technique and the electric guitar's range of tonal and textural possibilities. Particularly during the 90s, Holdsworth has enjoyed the recognition so many musicians strongly feel he deserves, given that he has developed his career outside the big label mainstream and has consistently produced his own recordings with complete creative control since the mid-80s. Despite the uncompromising nature of Holdsworth's predominantly genre-defying solo projects, he's no stranger to all-star jazz festival line-ups or large venue rock audiences. Musician Magazine placed Holdsworth near the top of their “100 greatest guitarists of all time.” There's never been a shortage of media attention or acclaim for Holdsworth's accomplishments and originality. An inductee of Guitar Player Magazine's Hall of Fame, Holdsworth is a five-time winner in their readers' poll. Beyond his ability in improvising mercurial solos and sculpting the guitar's voice into an ever-expanding range of textures and colors, Holdsworth has dedicated his energies to develop many different aspects of guitar technology. 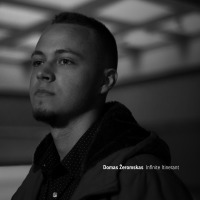 This has included new “baritone” variations of the instrument, his own custom 6-string designs (one most recently manufactured by Carvin), the invention of electronic components for the recording studio, and exploring the possibilities of guitar-based synthesizer controllers. 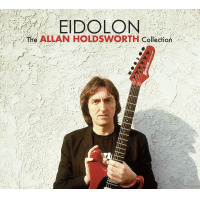 Holdworth's ability to improvise over complex and challenging chord voicings always reveals a deep emotional base and a strong, imaginative personality that is as instantly identifiable as any among Holdsworth's generation of guitar and jazz masters. Holdsworth's career brought him to international audiences suddenly in the early 1970s, when he joined drummer John Hiseman's short-lived but much acclaimed “progressive” rock band, Tempest. A decade later, Tempest vocalist Paul Williams would team up with Holdsworth again to form Holdsworth's IOU band and create their independently-released debut recording, which prompted Holdsworth to move his home from London to Southern California . Holdsworth's career throughout the 70s saw a series of feast-or-famine periods all too familiar to many of the most talented musicians. By 1975 Holdsworth had developed a reputation as one of England 's best, underrated guitarists in what was then the avant-garde of English instrumental music ensembles, the legendary group, Soft Machine. Holdsworth's trademark sound is evident with a technique that routinely soars with supersonic intensity, and one of its earliest available samplings can be heard on the 1974 Soft Machine studio release, Bundles . While his reputation in Soft Machine attracted international audiences, he also gained the attention of one of jazz's greatest drummers, the late Tony Williams, known for his pivotal role in bringing Miles Davis to explore rock-based riffs and motifs in an improvisational context. 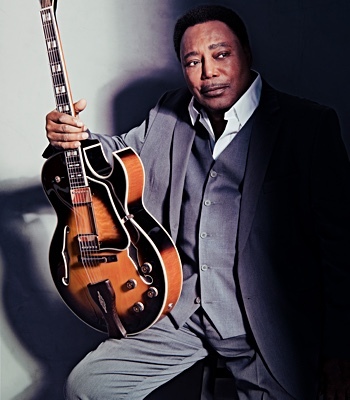 Holdsworth recorded on one of the most celebrated fusion albums from the mid-70s, Believe It , (Epic), as a member of the Tony Williams' New Lifetime. This marked the beginning of Holdsworth's career as a legendary journeyman, but one rarely performing before U.S. audiences. In 1978, Holdsworth decided he wanted to pursue a different, more live-based direction as opposed to his recent participation in lush, studio-crafted masterpieces. 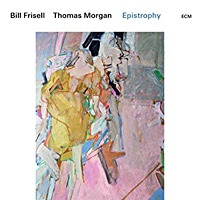 He sought out a more immediate, less intricately arranged band context than what had been established with Bruford, in order to explore a rock-oriented musical context that also explored extended instrumental ensemble improvisations. Holdsworth wanted to rediscover some of the energy and dynamics that had been so memorable in his live performances working with Tony Williams, and reluctantly parted company with Bruford's band. 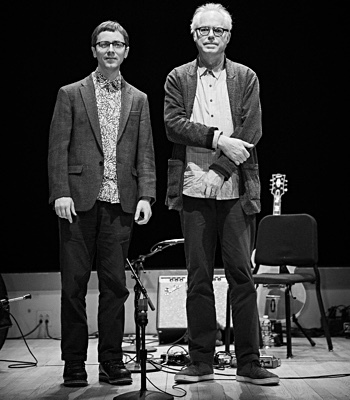 Holdsworth began to develop his own trio with two other Northern English musicians, drummer Gary Husband, and bassist Paul Carmichael, which begun Holdsworth's first touring band as a leader, the now- celebrated IOU band. Their first recording IOU sold exceptionally well for an independent release, and Holdsworth's friend and admirer, guitarist Eddie Van Halen, proved instrumental in securing IOU a recording contract with Warner Bros. Executive Producer Ted Templeman wanted to experiment with a “mini-album” concept, which resulted in the 1984 Grammy-nominated release, Road Games , which featured vocal cameos from long-time Holdsworth collaborator, the legendary Jack Bruce. It also featured a new American line-up, with Jeff Berlin and Chad Wackerman comprising the rhythm section. However tensions with the label over creative control led to a split between Holdsworth and Warner Bros. In 1985 Holdsworth signed with the Enigma label, enjoying creative control, and Jimmy Johnson joined the group after Jeff Berlin's departure to pursue his solo career. Holdsworth then recruited one of the most respected L.A. session bassists, Jimmy Johnson, leader of Flim and the BBs. The last version of the IOU band went back in the studio and with some notable guest appearances (among them bassist Gary Willis and original IOU drummer Gary Husband) contributed to tracks for the highly successful release, Metal Fatigue (1985). 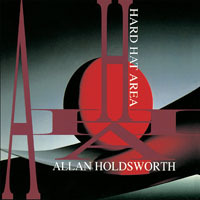 In 1986 the release of Atavachron demonstrated Holdsworth's focus on instrumental music, continuing his core band with Johnson and Wackerman. Atavachron also featured stellar guest appearances by two of Southern California 's most sought after jazz keyboardists, Alan Pasqua and Billy Childs. Like other Holdsworth recordings to follow, it proved to be a summit for great drummers, with guest contributions from Tony Williams and Gary Husband. Husband's increasingly successful career eventually led to Holdsworth's appearance as a studio musician and band member with Level 42 for their 1993 release, Guaranteed . The follow-up to Atavachron , Sand (1988), marked a new period with Holdsworth concentrating on his exploration of the Synthaxe, a revolutionary guitar-like synth-controller. Holdsworth received the winning award in Guitar Player Magazine's poll as “best guitar synthesist,” for many consecutive years afterward. With Secrets (1990) Holdsworth returned to his association with Enigma records, (which became the Restless label) featuring an album recorded mostly with the great session drummer Vinnie Collaiuta, who later joined Sting's band and had previously worked with Frank Zappa and Jeff Berlin. Secrets further revealed Holdsworth's rich harmonic vision and unleashed more distinctively “Holdsworthian” music, an enigmatic style that continues to invert, push, and transform the boundaries of more conventional rock, fusion, and jazz forms. 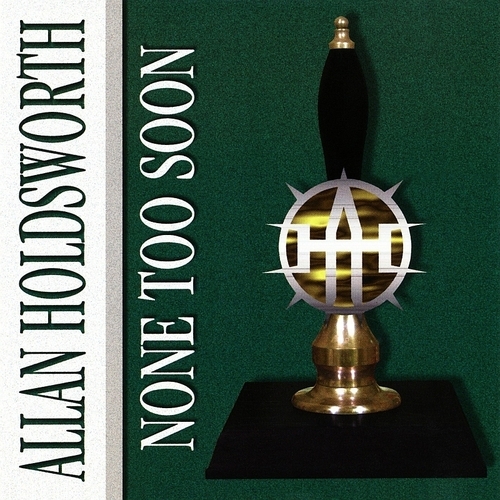 Building on the supreme sonic craftsmanship Holdsworth realizes in his home studio in Southern California , The Brewery, Holdsworth's latest solo recording is certain to be singled out as one of his greatest musical masterpieces. The Sixteen Men Of Tain marks a further exploration of traditional jazz motifs, and, as a first on his solo projects, an acoustic rhythm section. 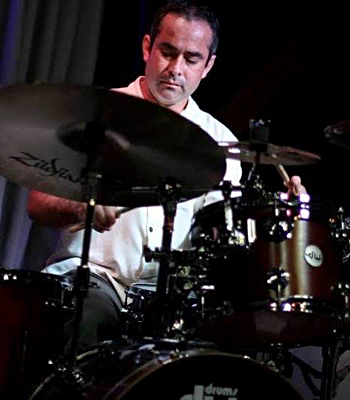 Holdsworth's tenth solo album marked the debut of a new band formed with bassist Dave Carpenter and drummer Gary Novak, both West Coast session men. First released in 2000, a special edition with two additional tracks was released via Eddie Jobson's label, Globe Music, in summer of 2003. 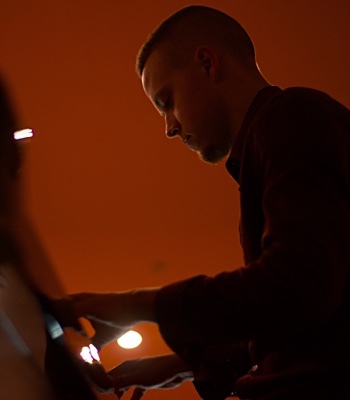 Tain marked a new direction in a forward-looking jazz vein and blended together a new vision explored to a degree in the more traditional jazz arrangements found in None Too Soon . One frequent topic of discussion among Holdsworth devotees was the fact that after well over a decade of touring with stellar players, Holdsworth had never approved the release of any live recordings by his bands, or any of those with him as a guest performer for that matter. In Fall 2002, Sony Japan released Holdsworth's first ever live recording, featuring Jimmy Johnson and Chad Wakerman in which Sony featured the trio's performance show as a showpiece for their next generation of state-of-the- art five-channel sound technology. 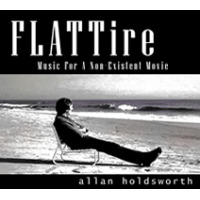 In late 2003, Alternity Records will release a second landmark Holdsworth live recording, Then! featuring a quartet performance from 1990 with keyboardist Steve Hunt, along with original IOU drummer Gary Husband, and Jimmy Johnson. Recorded originally in digital 24-track, Then! 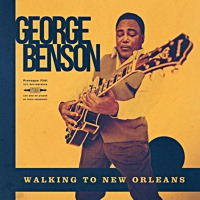 covers material from a broad swath of Holdsworth's recording career, from his days with Tony Williams' Lifetime up through Hard Hat Area and includes three never-released group improvisation tracks, not to mention some of Holdsworth's most powerful and ferocious solo flights ever captured on tape. Holdsworth spent time later in 2002 completing production duties for the recently released Softworks album Abracadabra , which featured alumnus from different eras of the legendary English experimental band, Soft Machine. Holdsworth toured with the band in Japan in the summer of 2003, which included saxophonist Elton Dean, bassist Hugh Hopper, and drummer John Marshall. In the past decade Holdsworth has varied his music career, engineering and inventing electronic sound-processing tools, including The Harness. He has several unique electric guitar designs now produced by Carvin, and has worked with luthier DeLap in conceiving custom baritone and piccolo guitars. In fact one of the larger and longer baritones is featured on all three improvised pieces in the new live album, Then! In his expanded and improved home studio, Holdsworth is already writing material for a new album of original pieces, and is planning to participate as a guest musician in several other projects as an engineer/producer. Whether he is playing instruments with the latest electric guitar innovations, piccolo, baritone guitars, or the Synthaxe, Holdsworth remains never quite satisfied in his eternal “quest for the perfect tone. All About Jazz musician pages are maintained by musicians, publicists and trusted members like you. Interested? 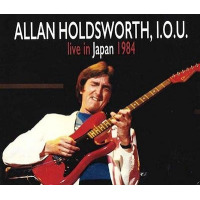 Tell us why you would like to improve the Allan Holdsworth musician page.